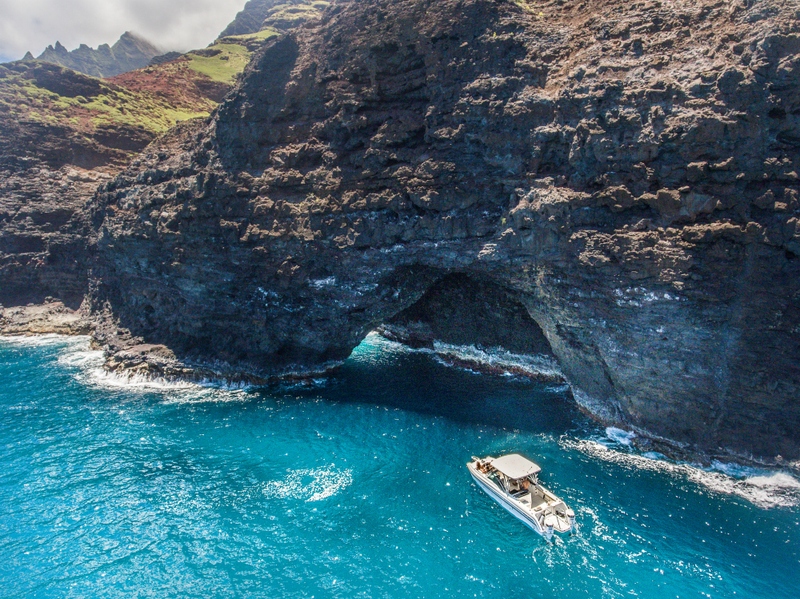 The Na Pali Coast is one of those places that people come from all over the world to see. 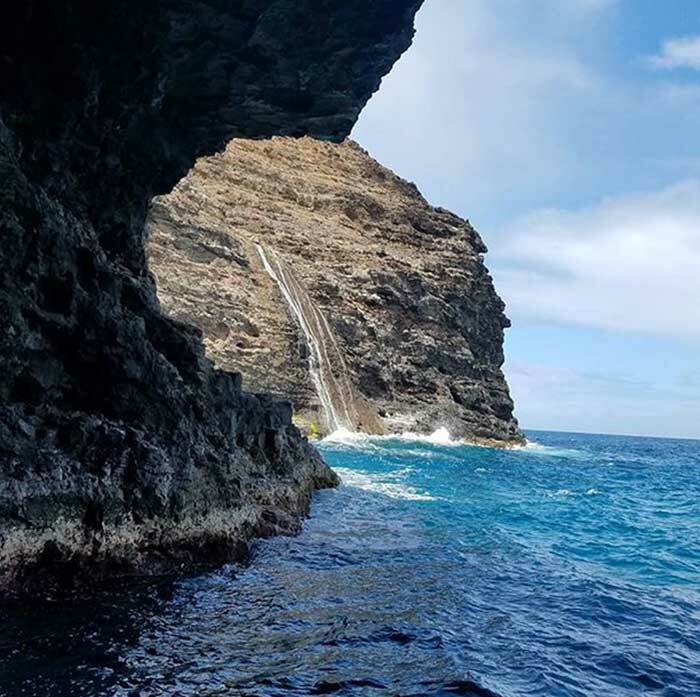 Whether you are planning a trip specifically to take in this wonder in person, or seeing the Na Pali Coast is just a big bonus to an already fun trip, you’ll want to make sure you get the most of your tour. Here are our tips for doing just that! 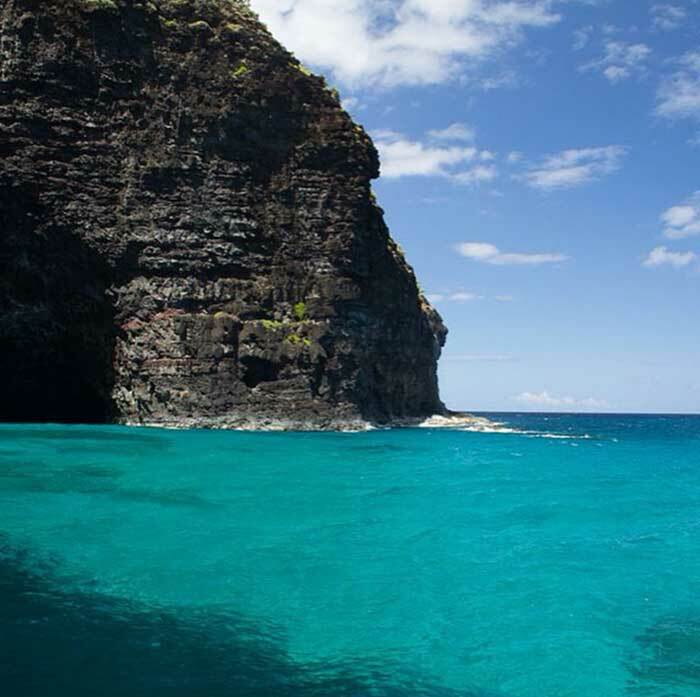 There is never really bad weather in Hawaii. 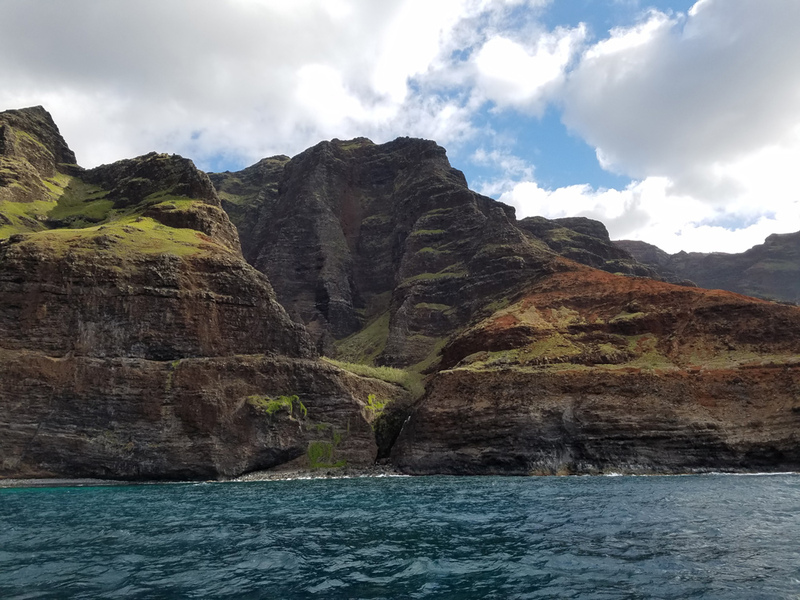 But, if you want the best chance for a clear, sunny day to accompany the majestic Na Pali Coast views, some times of year may be better than others. Winter tends to have more rain, however, it is usually brief. 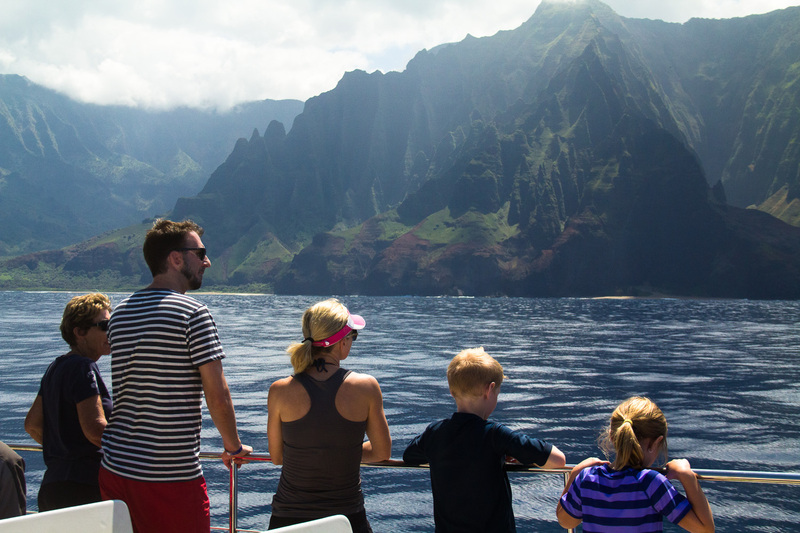 In the summer, the ocean tends to be calmer than in winter – so this is a better time for young children or anyone with seasickness. Your preferred time will really just depend on what will work best with your schedule. 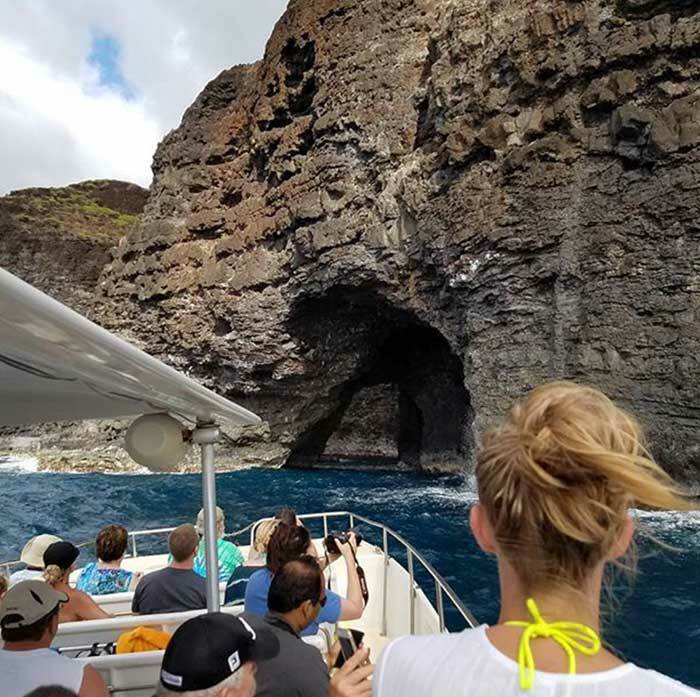 If you have plans to see a luau on the same day, you should take the morning tour to make sure you have time to do both. But, the lighting in the afternoon tends to be more ideal for photographers – so that may sway your decision as well. 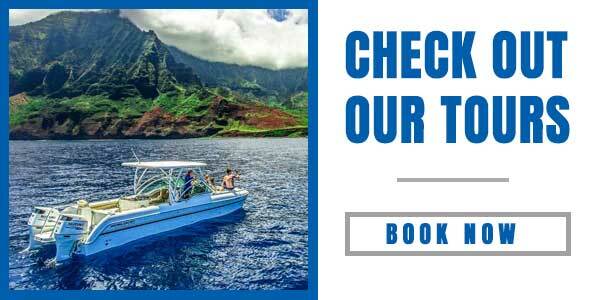 Once you know the dates of your trip and your preferred time, make sure to book early because tours can sell out quickly, especially during the more popular times to visit Kauai. 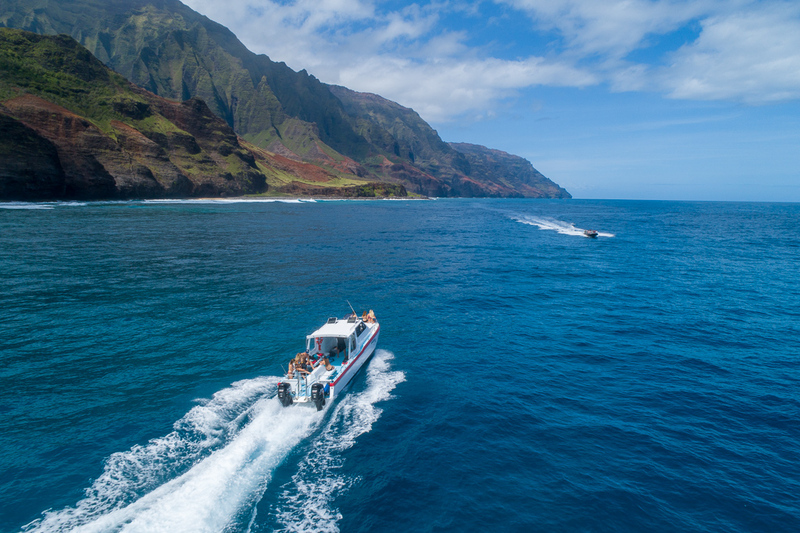 If you are taking the time to plan out your trip to see the epic Na Pali Coast cliffs, don’t underestimate how important it is to pick the right boat. 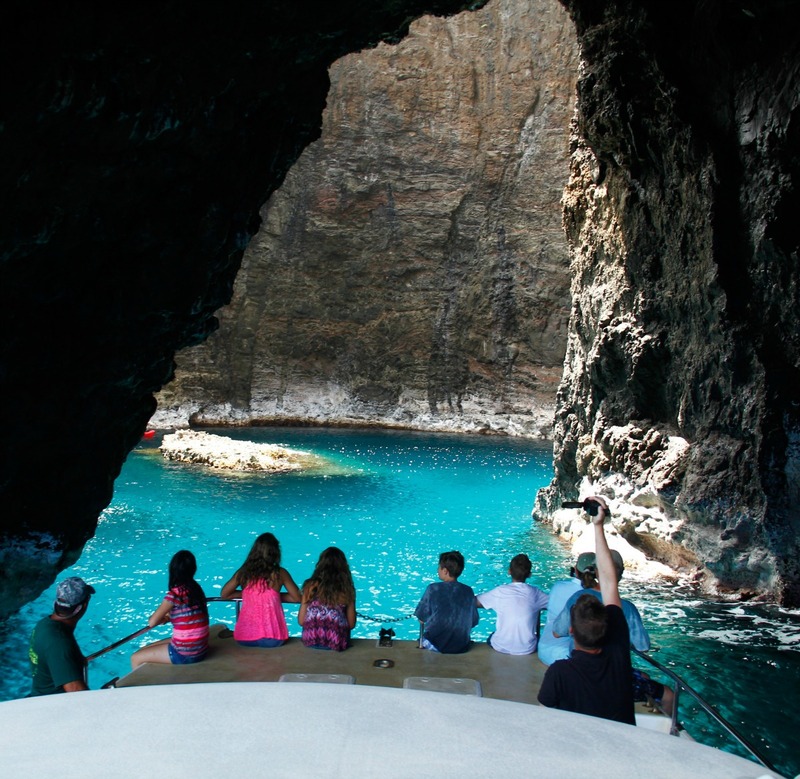 All of our boats are comfortable and small enough to get into sea caves and under cliff-side waterfalls. 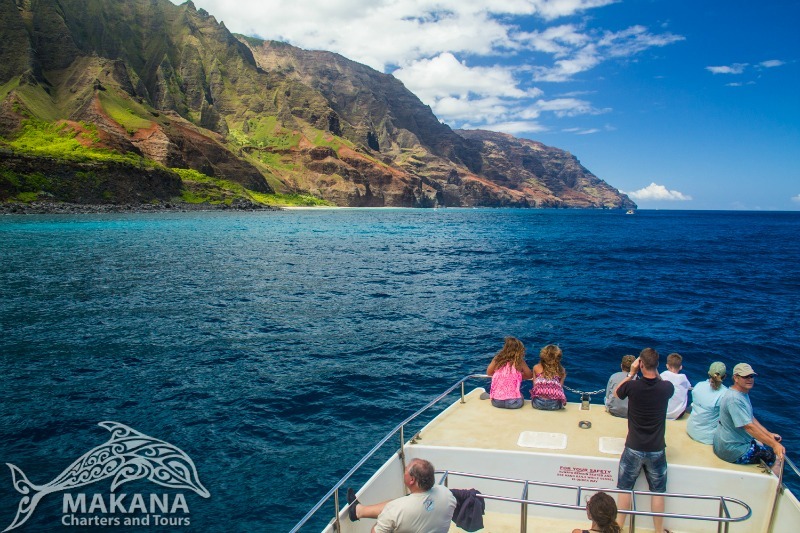 While we pride ourselves in making every tour enjoyable for all, you may prefer our smaller boat (the Makana) instead of our larger boat (the Na Pali Kai – which seats up to 32) if you want to have less people on the tour with you. 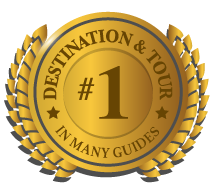 And if you really want the views all to yourself, consider a private tour! 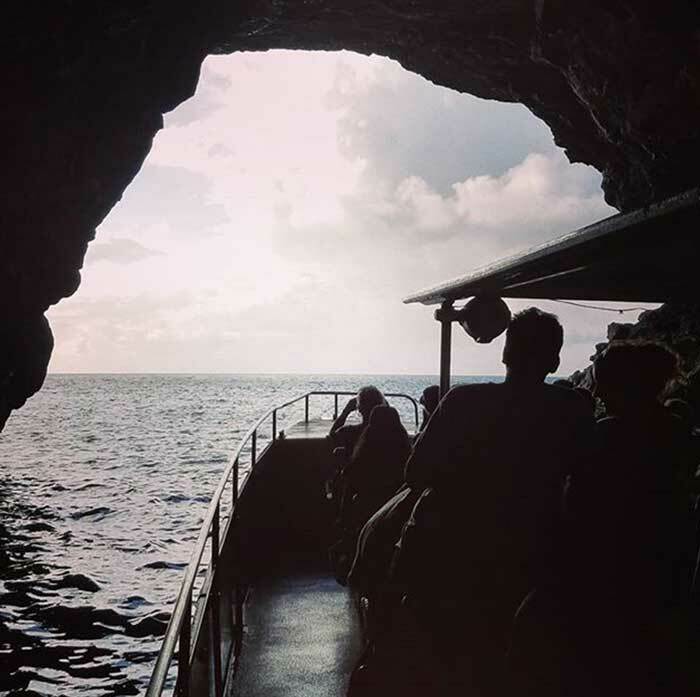 If you tend to get seasickness, you may want to consider taking Dramamine or a similar medicine before your trip. To be extra careful, we suggest taking one pill a few hours before and another just before you leave. We also recommend skipping coffee before the trip to avoid an upset stomach. 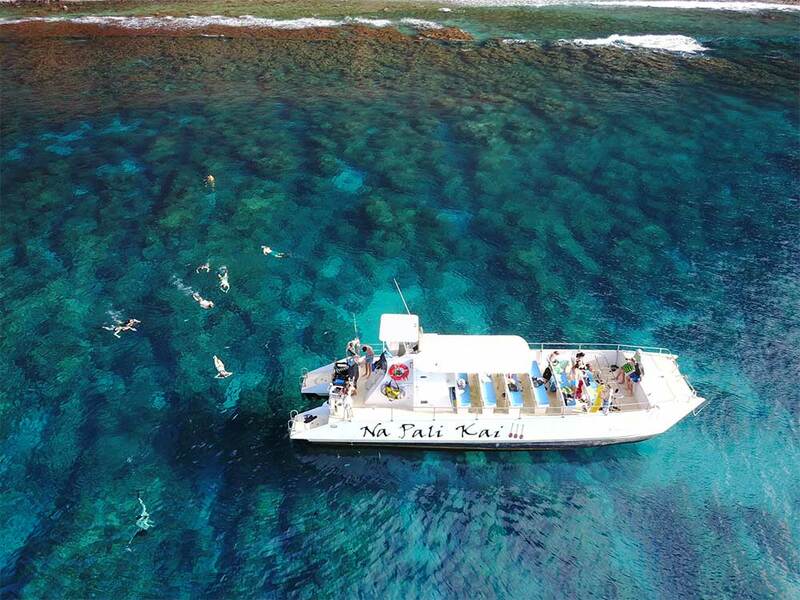 If you tour with us, we’ll provide you with almost everything you need – lunch, local juices, soft drinks, and full snorkel gear for our coast-side swim stop. 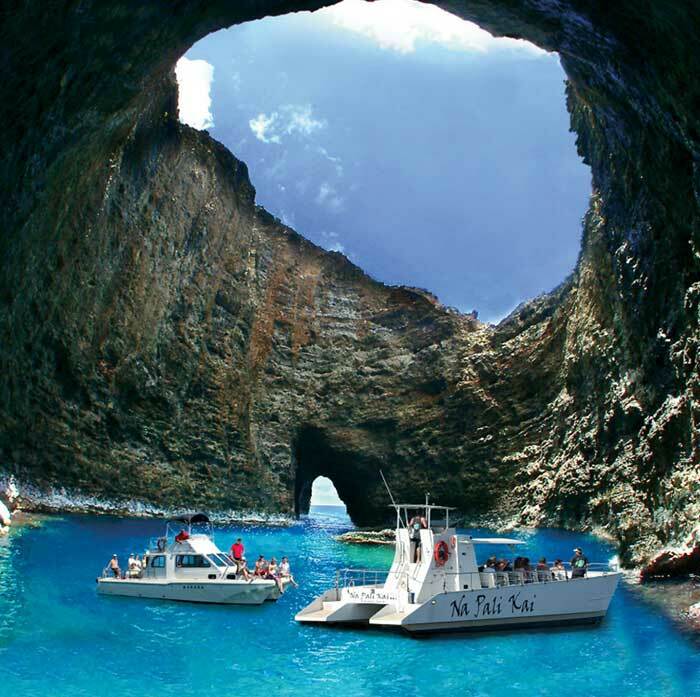 However, you will want to wear or bring your bathing suit, as well as a towel. And if you have any dietary restrictions, you may prefer to bring your own snacks, drinks or lunch. But, the most important thing to make sure you have with you is your camera. You will be kicking yourself if you don’t have a way to capture the amazing views and memories you are sure to have on this trip. Double check that you have a camera (or phone) with a full charge and plenty of space for lots of photos. Our tour is around 4.5 hours long, so you may end up with upwards of 100 photos before it is all over. 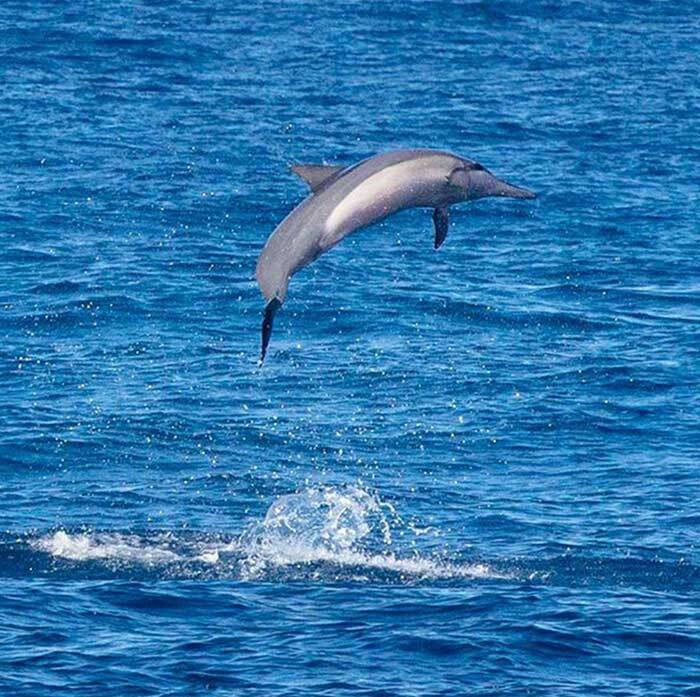 Especially if you are treated to a show by our local wildlife. (Read our tips for photographers here). Learn from the crew. 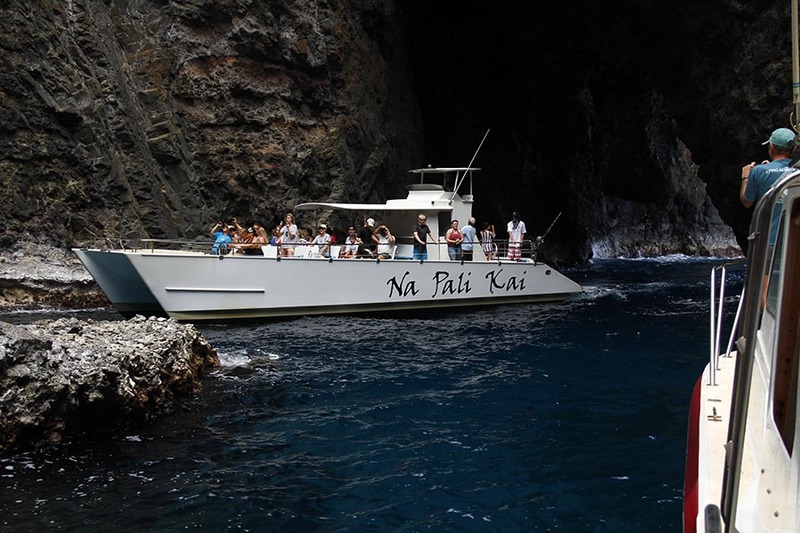 Our knowledgeable staff will be sharing history, well-loved places, stories, and personal accounts about the Na Pali Coast as we cruise along. Don’t miss this chance to hear all about this unique area of the world from locals. Keep an eye out for wildlife. 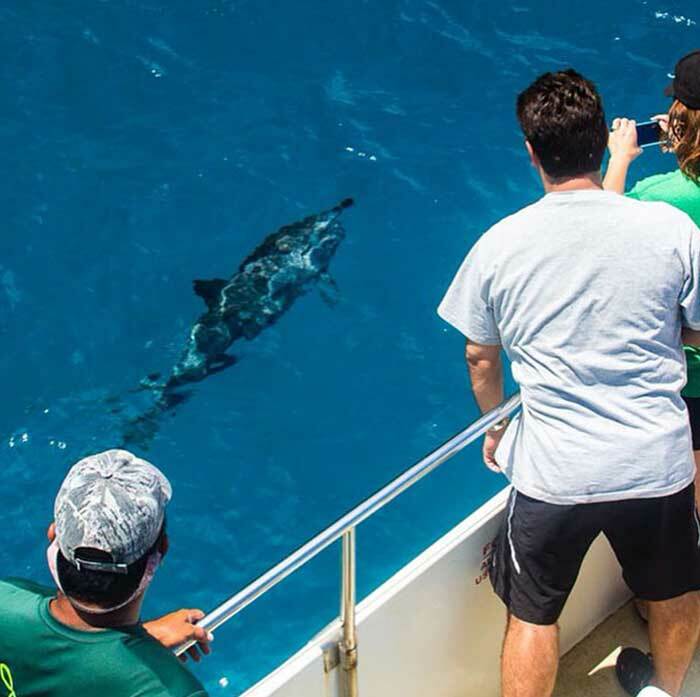 Our crew will also point out wildlife, but make sure to be on the lookout as well. Whales are popular from December to May. 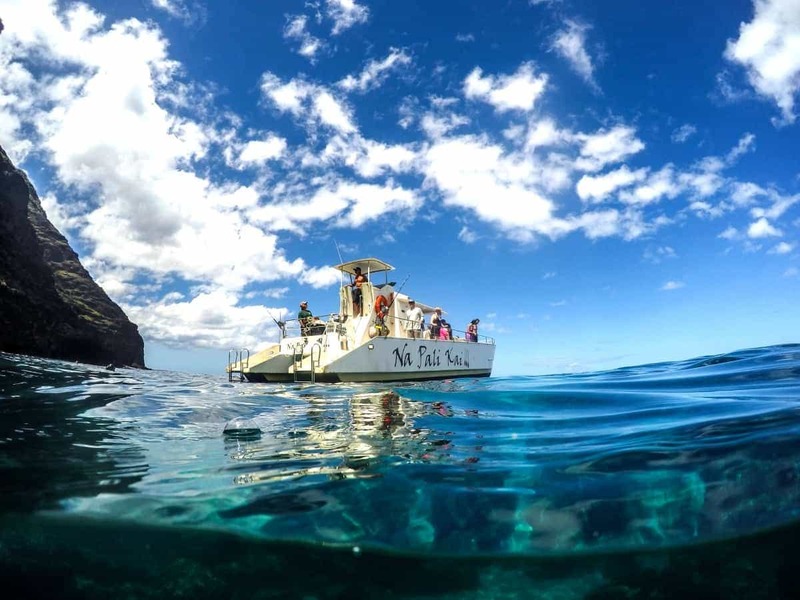 But throughout the year, we often see Spinner and Pacific Bottlenose Dolphins, dozens of fish species, lots of birds, and even the occasional Hawaiian green sea turtles – especially when we stop to snorkel. 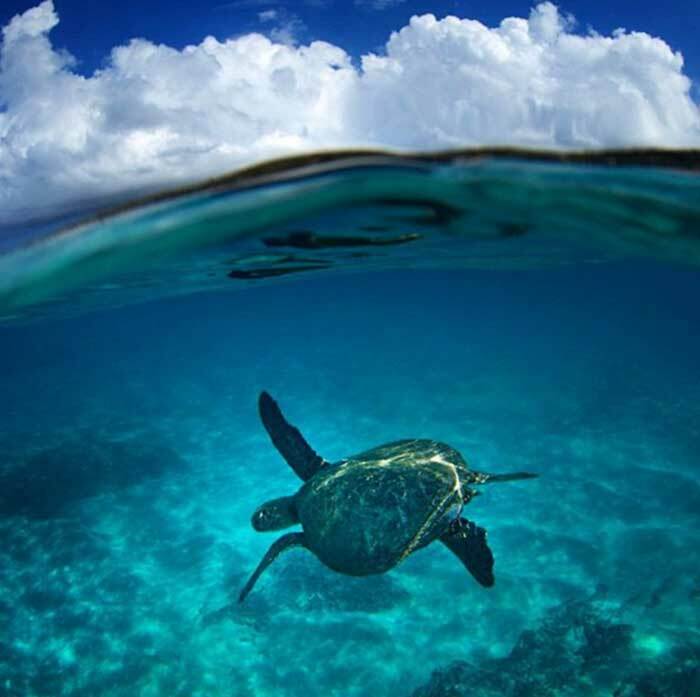 Don’t skip the snorkeling. 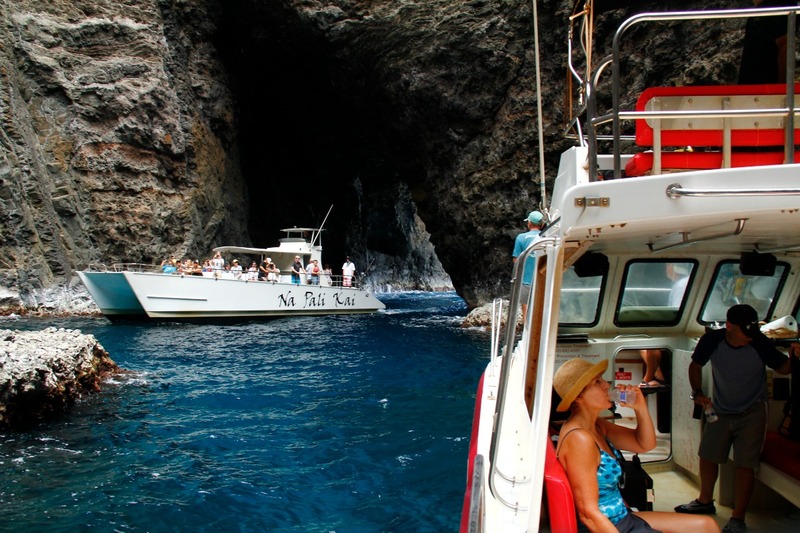 As noted above, snorkeling is a great way to see under-the-sea life and it is just an awesome way to take in the towering cliffs above you as you float around in the clear, cool water. Don’t sit this activity out, you’ll regret it! Capture the moments and the feelings. 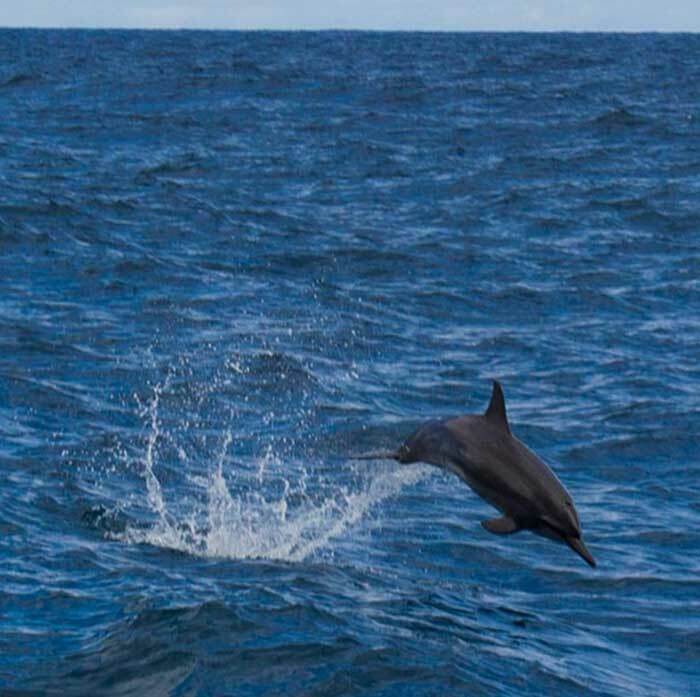 Of course, we understand the desire to snap away as you cruise by amazing views and beautiful wildlife. Just make sure to take a few moments to be present and enjoy the overwhelming feeling of gratitude being in such a stunning place will give you. Share your shots! 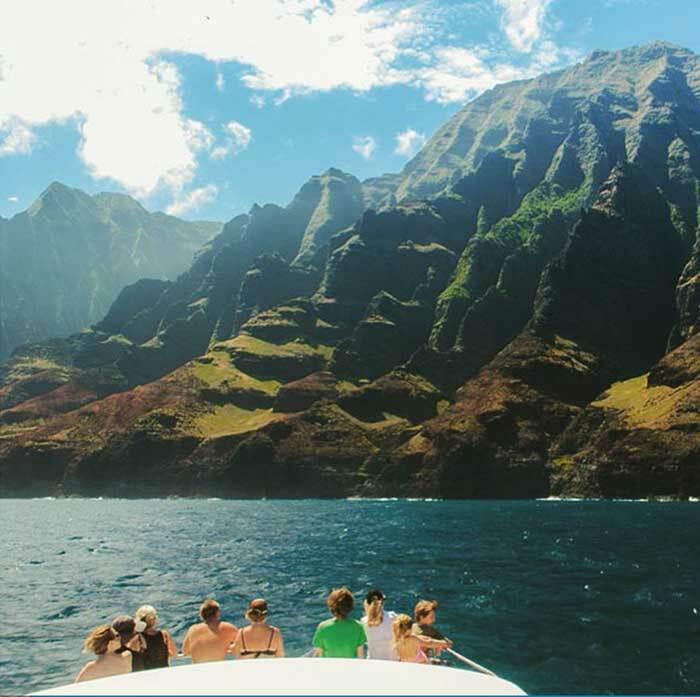 Of course, your friends will love to follow along with your Na Pali Coast adventure, so don’t leave them hanging – share away! And don’t forget to use #makanacharters, for a chance to be featured on our Instagram account. 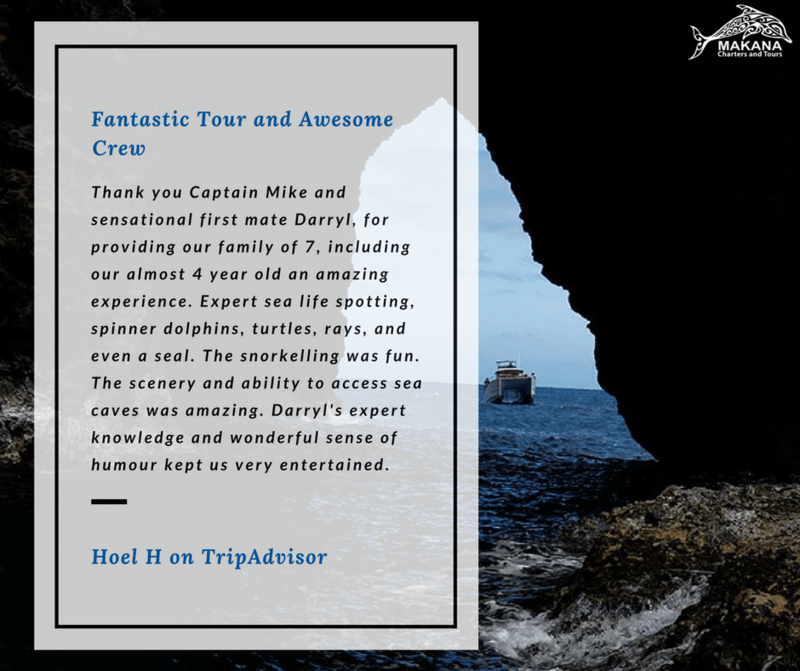 We love to see customers enjoying their tour!